On September 11th 2001 I was the Chaplain for Headquarters Battalion 2nd Marine Division, Camp LeJeune North Carolina. I first learned of the attacks as I was logging off of my computer to go to PT after a couple of counseling cases in the early morning. 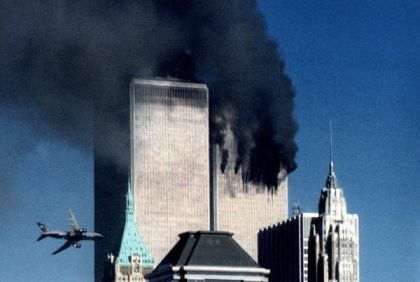 The headline I saw on Yahoo’s home page was “Airplane crashes into World Trade Center.” I simply figured from that that a private pilot had flown a small aircraft into on e of the buildings. I got to my car and when I turned on the engine a talk radio host was screaming “Another airline has crashed into the second tower.” I don’t even remember what talk show host that it was. My mind immediately went to terrorism as the cause thinking about the bombing of the USS Cole. I drove to the French Creek gym to see if there was anything on the televisions. When I arrived I saw the trade centers burning and Marines and Sailors crowded around in stunned silence or whispering to each other in muted tones. I returned to my office, showered, got my uniform on and drove to our Battalion Headquarters where Colonel Richard Lake was gathering the staff. Within hours the base was locked down with combat ready Marines patrolling possible danger areas and with hasty roadblocks and checkpoints established around the base. We were locked down for almost four days as things began to settle out. By December I was the Chaplain for the USS Hue City and deployed in February 2002 to support Operation Enduring Freedom and Operation Southern Watch. In 2007 and 2008 I was deployed to Iraq serving with the Iraq Assistance Group and Marine, Army and other advisors serving with the Iraqi 1st and 7th Divisions and other security forces fighting insurgents in Al Anbar Province. I have many friends that have deployed numerous times between the 9-11 attacks and today, some have been wounded and others killed. Many suffer the psychological and spiritual trauma of PTSD and Traumatic Brain injury. Even if we were to be able to end these wars today we would be dealing with the ravages of this long war. I still serve working among many continue to deploy and return as well as treat those traumatized by war. I will return to Camp LeJeune next month as the Command Chaplain of the Naval Hospital which takes care of the Marines and Sailors of the II Marine Expeditionary Force, much of which is deployed to Afghanistan. 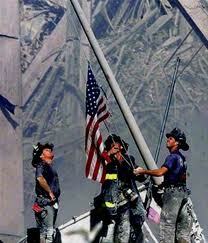 I cannot forget 9-11. These are my thoughts. I remember exactly where I was on that terrible day known simply now as 9-11. 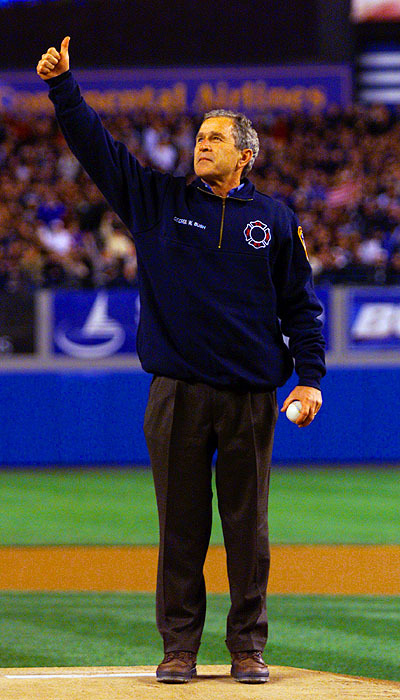 The events of that day and in the following changed our lives and our country possibly forever. 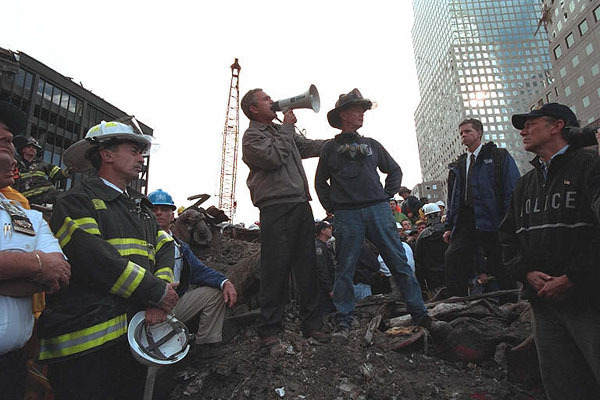 The images of that day are seared into our individual and collective consciousness as Americans and usually conjure up deep emotions of anger, sadness, grief and pain. The sheer magnitude of attacks, especially those on the World Trade Center towers covered on live television shocked and stunned the nation as the nation saw us transition from peace to war before its eyes. The attack on the Pentagon was also dramatic but because it was a military target the psychological impact on most Americans was less than the attack on the Trade Center towers. The images are still disconcerting and when watched show the genius of Bin Laden as he struck at great symbols of American power. Bin Laden did what no enemy had done previously striking so hard at such symbolic targets; he destroyed our sense of safety. Of course that sense of safety was an illusion all along as with the advent of ICBMs and long range bombers we have been within reach of our enemies. Likewise we had seen terrorists attack us before including a 1993 attack on the WTC designed to bring the building down. But this was different than all those that came before, for the first time Americans no longer felt safe behind the “moats” of the oceans that surround the country. For the first time since the War of 1812 a foreign enemy had struck at the heart of America on the Continental United States itself and unlike then the nation saw the attack unfold in real time together. Only the attack on the Pacific Fleet at Pearl Harbor by the Japanese Navy on December 7th 1941 has had such an impact on us. 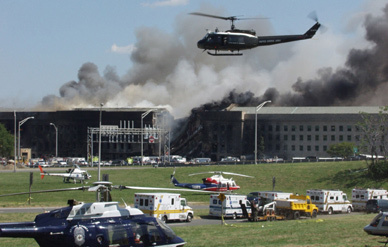 We watched as near 3000 Americans and others died in the towers, at the Pentagon and aboard Flight 93. 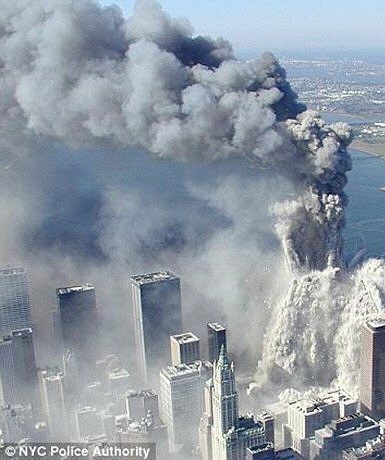 Some would say that we need to “get over” 9-11, but those that say such things do not understand the magnitude of the affect of the attacks on the soul of this nation. The emotions generated by these attacks even 9 years later in are almost visceral because they are symptomatic of the deep and yet unhealed wounds suffered on that day. The attacks on the World Trade Center, the Pentagon and United Flight 93 perpetrated in the caves of Afghanistan by Osama Bin Laden and Al Qaeda and executed by 19 terrorists who hijacked the four aircraft involved did more than destroy or damage landmarks and kill innocent people; they wounded our nation both psychologically and spiritually. That day also created an immense desire to see the perpetrators brought to justice and set us on a course for war a war that has no end in sight even 9 years after the 9-11 attacks. To put this in perspective from Pearl Harbor to VJ Day was just under 3 years and 9 months and even Vietnam from the Gulf of Tonkin incident to the cease fire was only 8 years 4 months. The young men and women now enlisting as 18 year olds in our armed forces were 9 years old when the attacks occurred, kids that were in 3rd or 4th grade playing little league baseball, soccer, pee-wee football and playing with their X-Box, PS-2 or Game Cubes. Now these children serve in harm’s way with many dying as the average age of our casualties is about 20 years old. Within a month President Bush launched our military into an attack on Al Qaeda bases and those of their Taliban allies in Afghanistan. With the help of different Afghan Mujahidin groups US Special Forces, Marines and Paratroops had driven the Taliban out of power and were searching for Bin Laden. Although American forces came close at the battle of Tora Bora to catching Bin Laden he escaped along with the leader of the Taliban Mullah Omar. Eventually the effort in Afghanistan became secondary as the United States focused its attention on Iraq and became involved in a bloody insurgency against Al Qaeda allies as well as Iraqi militants of various types. Mistakes were made by the administration in disbanding the Iraqi Army, police and Civil Service following our 2003 invasion. On the ground some American soldiers at Abu Ghraib videotaped acts of torture on prisoners and detainees which found their way into the world wide press creating a firestorm reaction which made the war that much more difficult as it made those on the fence more likely to at least give the insurgents aid and support. That changed in 2007 the “Surge” of extra combat troops to implement a true counter-insurgency strategy aided by Iraq security forces and the Anbar Awakening where the Sunnis turned against Al Qaeda. Iraq still has major issues but in the long run will likely do well as the Iraqis take control of the country. I know that there are many people including some experts who doubt this but knowing a number of Iraqi senior officers of both Sunni and Shi’a Moslem factions and the history of modern Iraq which is one of secularism, I believe that Iraq will do fine. The strategic problem with Iraq was that it diverted attention from Afghanistan where we had an early chance to drive out and keep out both Al Qaeda and the Taliban. The loss of emphasis in Afghanistan allowed the Taliban to regroup and reestablish their control throughout much of the country. The other thing was that it created a situation that cost the US Military a large number of casualties and made it difficult to fulfill other commitments and contingencies. The war in Afghanistan has blown up over the past two years as the Taliban often aided by elements of Pakistani intelligence services take advantage of the corrupt and unpopular Afghan government. The Afghan government led by President Karzai who at best can be described as an unreliable ally in the war against the Taliban is barely able to influence events in the capitol Kubul, but less in outlying areas where the Taliban has established a formidable shadow government. At home the United States seems to be at war with itself, no longer united but bitterly divided even as American military personnel lay down their lives overseas. A controversy rages about an Islamic Cultural Center and Mosque to be built not far from Ground Zero while Fundamentalist Christian pastors threat to burn copies of the Koran inciting more rage against Americans deployed in harm’s way. The President is increasingly unpopular and the Congress even less so. Sentiment is building for wholesale change with some even talking of revolution or secession. It doesn’t seem that either the builders of the so called “Ground Zero Mosque,” its opponents and the hate filled pastors have any clue about the propaganda victories that they hand our enemies on a daily basis. In a world-wide insurgency, which this has become propaganda is often more important than military power. It seems that Osama Bin Laden is succeeding in his goals. In 2004 Bin Laden said on a video “All we have to do is send two mujaheddin . . . to raise a small piece of cloth on which is written ‘al-Qaeda’ in order to make the generals race there, to cause America to suffer human, economic and political losses.” Bin Laden and his allies have seen us abandon some of deepest principles of freedom of speech, movement and association as the government tries to ensure that no more attacks take place. However as any student of terrorism knows there is no way to stop every terrorist attack. Eventually another will succeed and when it does we will see freedom curtailed even more. If the attack is large enough the real possibility exists of Martial Law. As this transpires American Military personnel of every race, color, creed and political persuasion do battle with the enemy. At home other military units train and prepare for battle. Police, security and intelligence officers from a myriad of Federal and state agencies conduct the painstaking work of trying to figure out where the next attack is coming from and try to stop it. Since 9-11 they have been successful but the law of averages says that eventually another attack will succeed because Al Qaeda and other Islamic terrorists while small are always seeking ways to further terrorize Americans and other westerners. All I can imagine now is that our current state of division will last until we are shocked out of it by something worse than 9-11. I hope and pray that cooler heads will prevail and somehow we will recover our sense of who we are as Americans that sense of “e pluribus Unum” “Out of many, One” will take the place of hyphenated America and Red States versus Blue States. Bin Laden would like for nothing more for us to continue to be at war with ourselves. 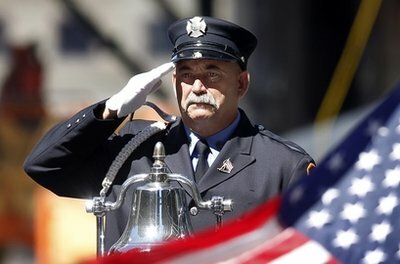 Today we mark 9-11 and I hope and pray that the lessons of 9-11 will not be forgotten and that both the losses of that day and sacrifices since will not be in vain. As for me and the rest of us in uniform we will continue to serve to preserve and defend this country and our most cherished ideals. May God have mercy on us all.